Smartscope Flash 200 - CMM Inc.
It’s true when they say that good things come in small packages. The SmartScope® Flash™ 200 is a full-featured automatic measurement system that provides an impressive 8"x8"x6" measuring range and extensive measurement capabilities. 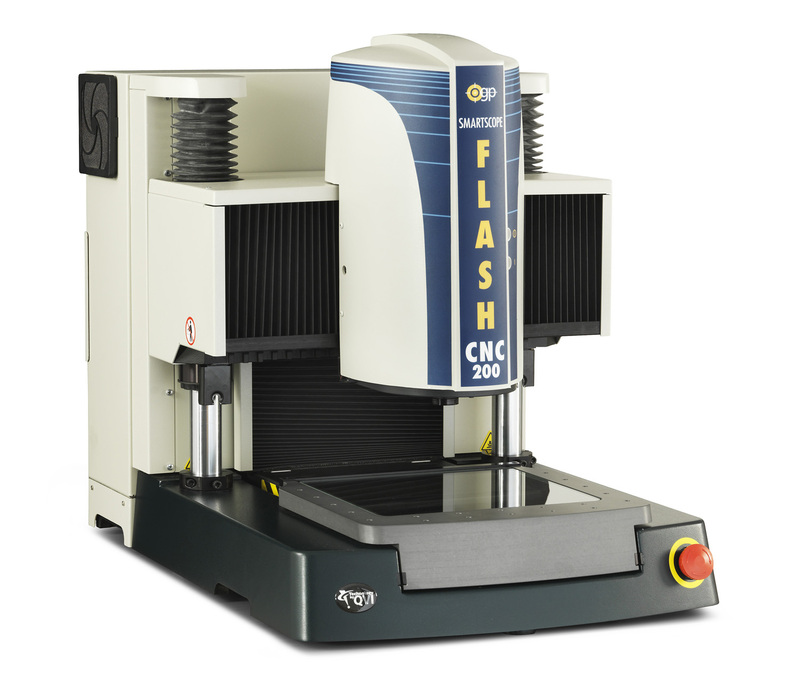 This CMM machine is also the smallest member within the Flash family of systems. This unique system includes patented innovative design features, including an "elevating bridge" and an embedded computer. Both of these features allow the TheSmartScope® Flash™ 200 to take up as little space as possible on a benchtop. The system also includes a computer controlled LED array backlight, which tracks the X-axis motion of the optics with no moving parts. Every SmartScope Flash 200 is multisensor capable and comes with SmartRing™ light, a standard feature which offers the ultimate flexibility in surface illumination. This system is also an impressive video measuring machine; users can add touch probe, laser and micro-probes to make the SmartScope Flash 200 a full-fledged multisensor measurement system.